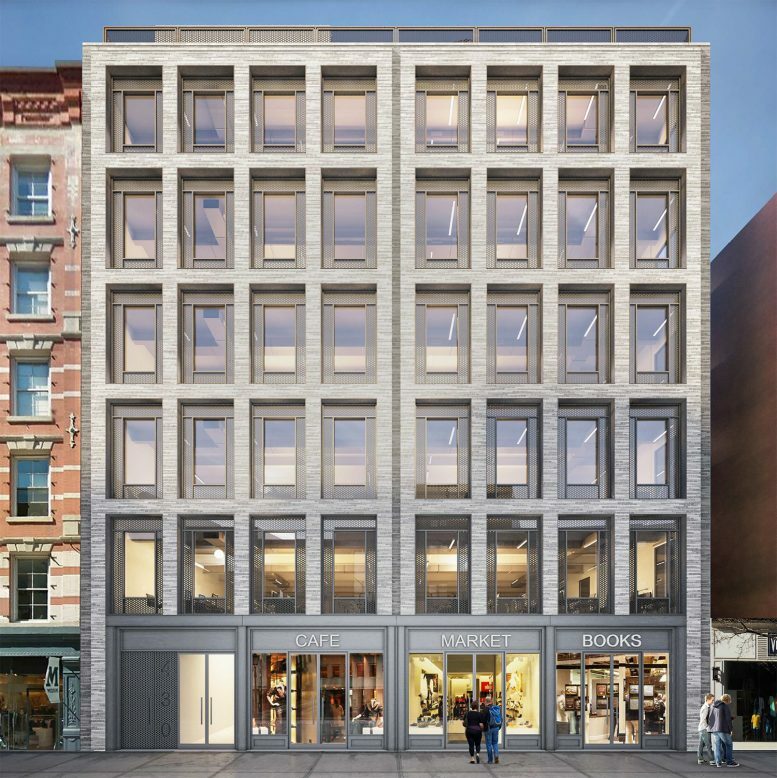 A new office building designed by Morris Adjmi Architects could soon rise at 430 West Broadway, in SoHo, pending approval from the Landmarks Preservation Commission. The design and development team will present the proposed renovation and expansion project to the LPC later today. The existing structure is a 3-story commercial retail building originally constructed in 1987, then renovated in 1997. 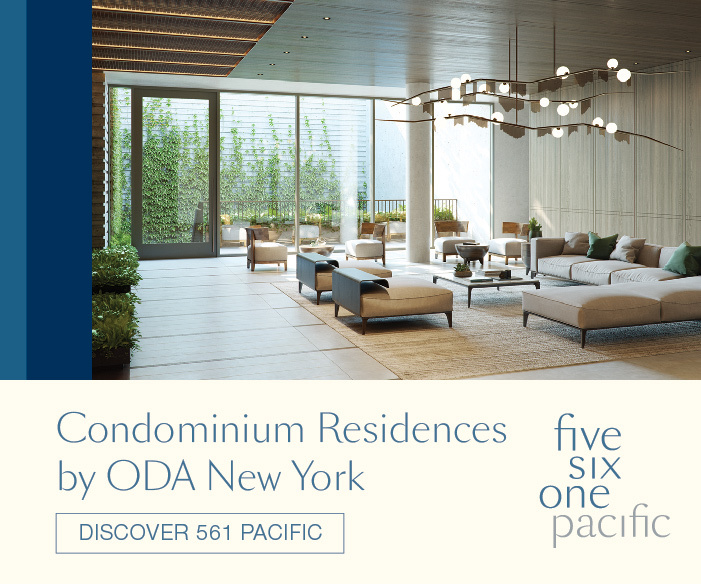 New permits detail a vertical enlargement of 56 feet or four occupiable floors. If accepted by the LPC, the new structure will stand 98-feet-tall, or seven stories plus a rooftop level for mechanical components. Interior area will increase by 22,000 square feet, for a total 38,465 square feet of commercial office and community facility space. The building could also contain retail areas on the ground floor and one sub-grade level. 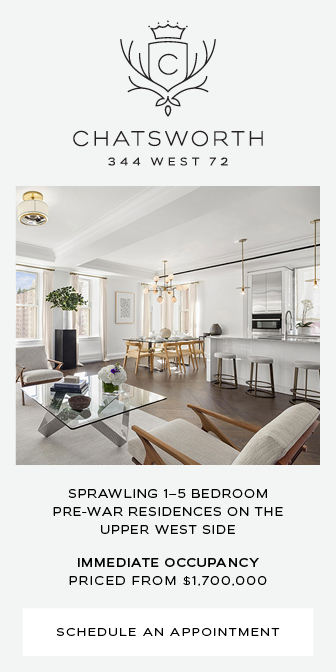 Located in the heart of SoHo’s historic Cast-Iron District, 430 West Broadway is one of nearly 500 buildings in a section of Lower Manhattan dominated by distinct cast-iron facades. Dating back to the late 19th century, the use cast-iron became increasingly popular in the neighborhood due to the material’s relatively low cost compared to granite or marble. 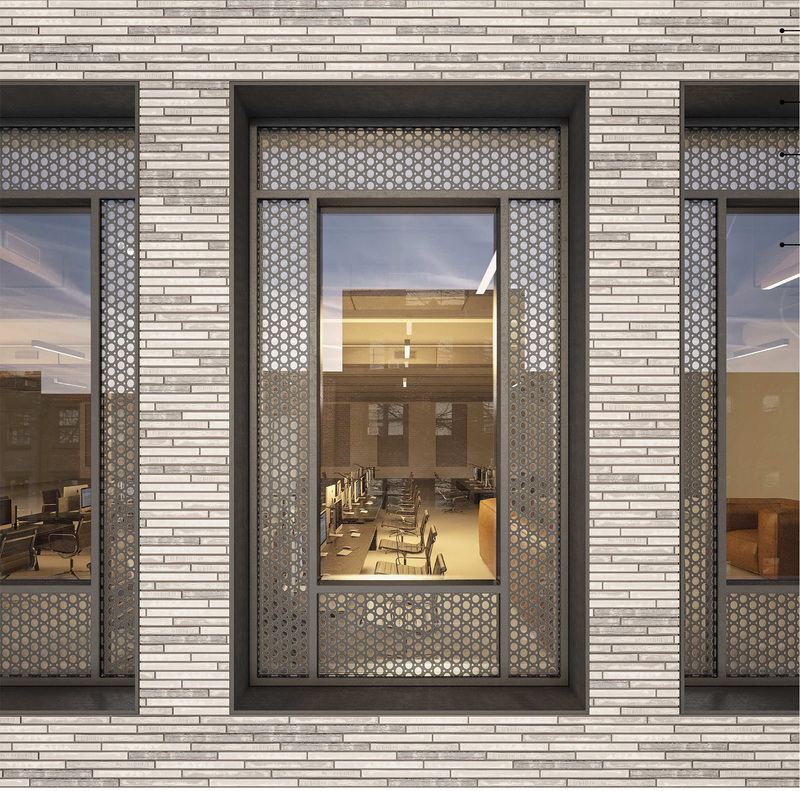 New renderings of the proposed project reveal a demure, San Anselmo brick facade punctuated by large, metal framed windows meant to evoke the historic glass-windowed sidewalks seen throughout SoHo and TriBeCa neighborhoods. 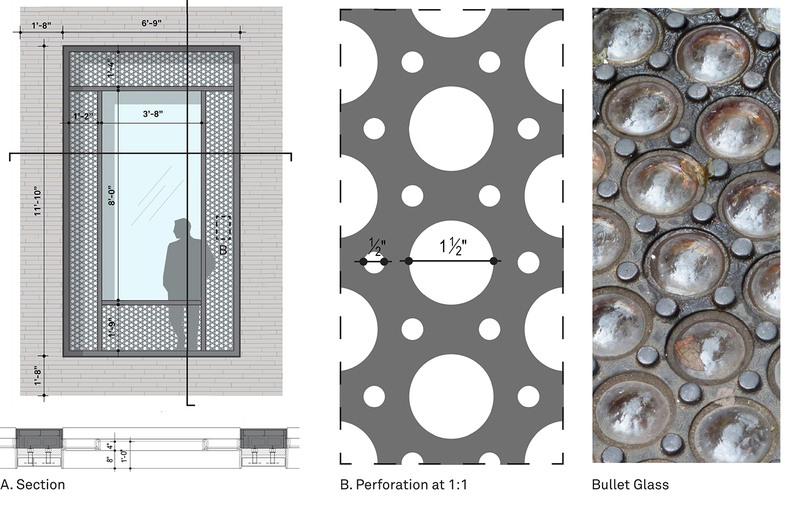 Ground-floor retail areas will also see glass storefront bays encased in aluminum. 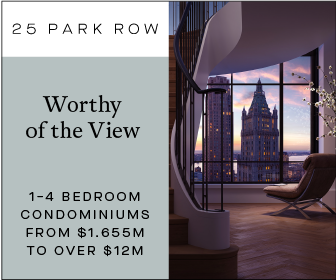 5 Comments on "Morris Adjmi-Designed 430 West Broadway Heads to LPC, SoHo"
Please pardon me for using your space: Duty of developer must invent unique design. 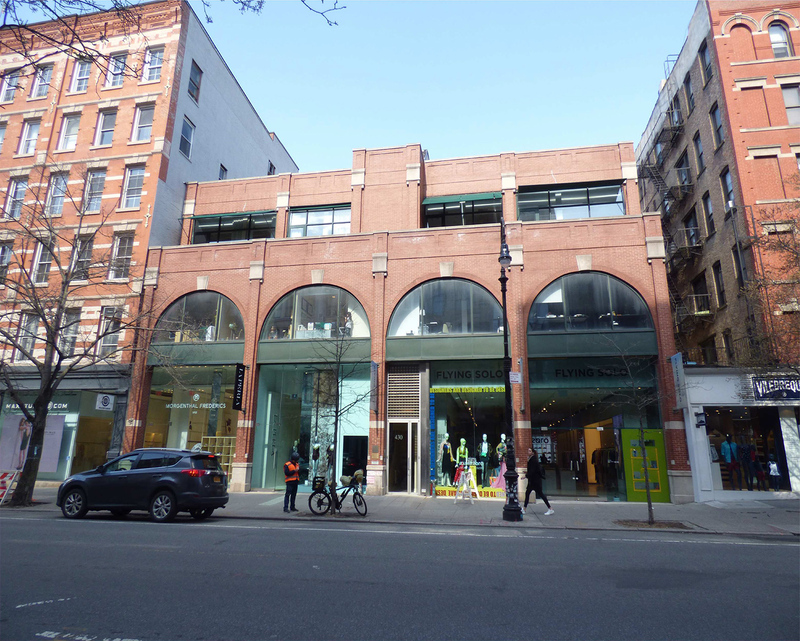 Why have a landmarks commission if we cannot protect a true new york original and world renowned neighborhood like Soho. 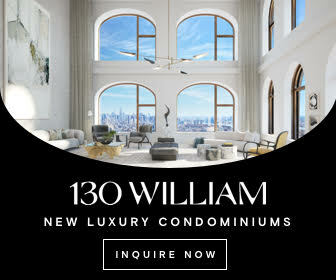 Shame on the corrupt New York city landmarks and zoning commission for allowing a true jewel of a neighborhood to get destroyed by developers. If a neighbrohood like soho isnt protected from office towers nothing is protected. 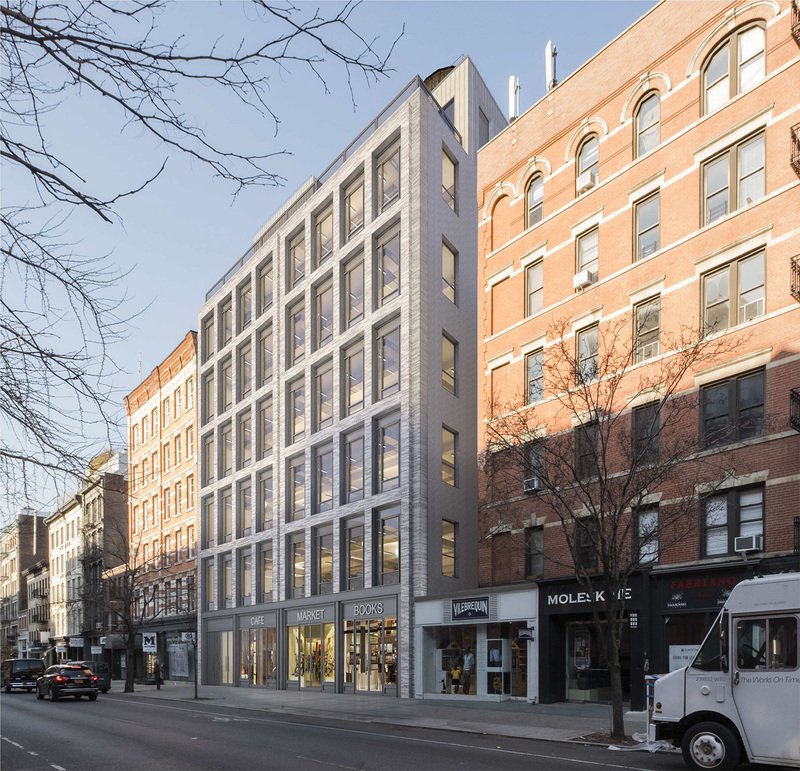 Landmarks preservation commission has been hijacked by people in the development industry ruling on potential business partners projects. ?!?!?! This project is a dramatic improvement, neighborhoods with the most landmarking are becoming graveyards (i.e. The West Village which saw its population plunge from 2000 to 2016). I am sure if you speak to anyone who lives in the west village they are not concerned with their “plunging population”. 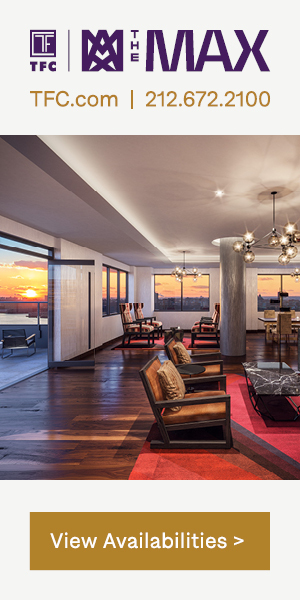 Have you seen the high rise buildings going up adjacent to the west side highway? Overall this is a great building. If it were red brick I think that would be better in terms of relating to the character of the street. But this a good modern adaption of building in the area. Thumbs up.